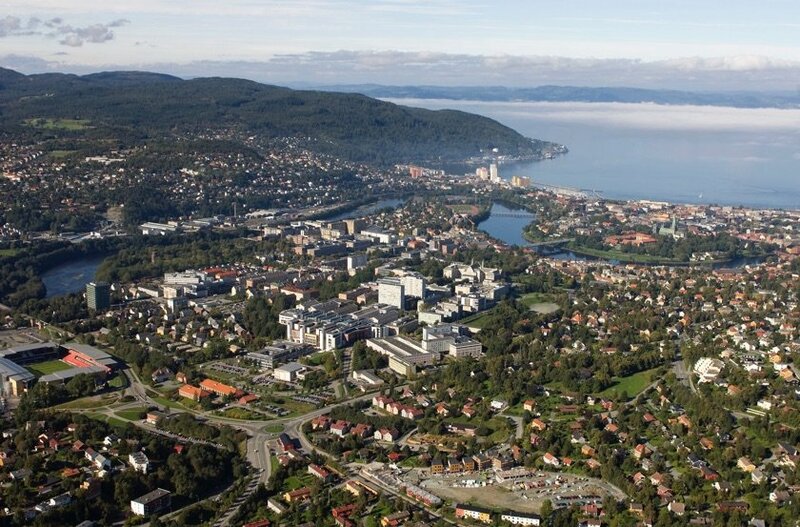 In the near future Trondheim's central area will be home to a super campus of an expanded Norwegian University of Science and Technology (NTNU). The announcement wasn't exactly a surprise. Currently, thousands of students and staff work at the Dragvoll campus on the edge of the city, with many more spread out at different locations across the city's suburbs. 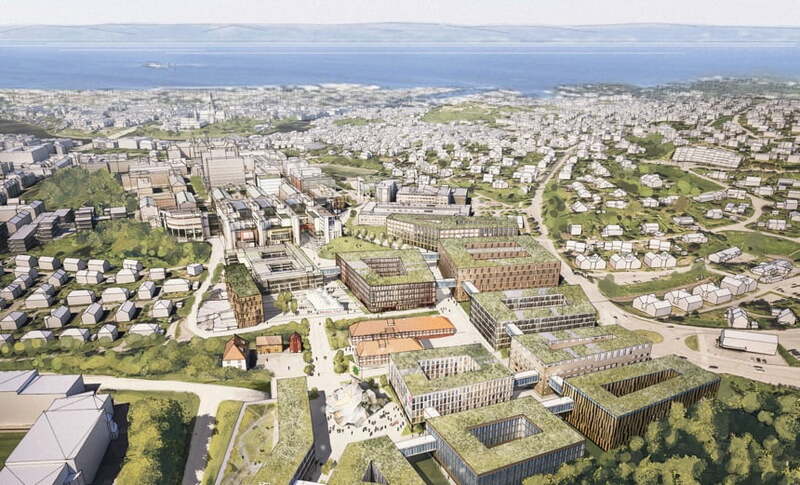 Last year, the consultancy Rambøll recommended a combined site based around the existing Gløshaugen campus, even though the cost would be two billion kroner more than retaining the Dragvoll campus. They claimed the potential gains from a “super campus” would far outweigh the additional cost. 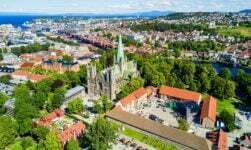 On a recent visit to Trondheim, Norwegian Prime Minister Erna Solberg announced the government has decided to adopt the recommendation. Dragvoll will close and all students will move to the new super campus based around the existing Gløshaugen campus, plus existing and new facilities around the Student Society, Øya and Kalvskinnet. The entire campus will be within walking distance of the city centre. 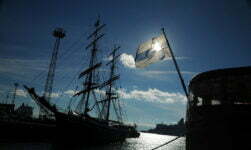 “NTNU is a university for the whole of Norway. It becomes the most exciting, innovative and not least the largest university. It is important that students are in an environment that is good, that inspires. 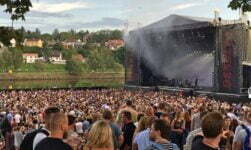 We get a university that is internationally attractive.” – Erna Solberg, Norwegian Prime Minister. NTNU Rector Gunnar Bovim was delighted with the announcement. This news comes hot on the heels of another announcement that will see NTNU become the biggest university in the country. The Board approved a merger with university colleges in Gjøvik, Ålesund and Sør-Trøndelag. The new combined academic organisation will retain the NTNU name. “I see great academic gains from this merger,” says Bovim. The partners anticipate that the merger will increase recruitment to all their study programmes, both in Norway and from abroad. They also believe that NTNU will be better positioned to obtain EU contracts and compete for highly qualified labour. The first thing that went through my mind after hearing the news of a new super campus is how all these extra students are going to get around the city. 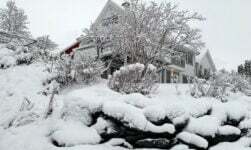 We live in Moholt, half way between the two current NTNU campuses at Gløshaugen and Dragvoll. Many student residences are on the route, which also calls at the city centre. I don't know the statistics, but the number 5 bus route must be one of the busiest in town, with students taking the bus both ways all day, every day. Once Dragvoll closes, the change in usage patterns will cause serious capacity issues on the buses. And I haven't even mentioned the potential parking chaos. The announcement praised the eco-savings of the new site with students being within walking distance of all facilities. That's true, but they still have to get to and from the campus. In the recent local election campaigns, SV proposed a new light rail system, while the Labour party (who received 41.5% of votes) proposed a “super bus” system, which has the potential to be converted into light rail in the future. With the super campus announcement, the time to decide on these things is now.